With a business-oriented approach, Brooke tackles complex regulatory and transactional challenges for healthcare clients. Brooke understands the importance of getting to know a client’s business intimately in order to provide tailored solutions. She frequently works with health and pharmacy benefit managers, managed care organizations, health plans, pharmaceutical organizations, technology and research companies, pharmacies, hospitals, physician group practice, and other providers. She guides clients in navigating the vast and complex payor/provider regulatory landscape and regularly provides guidance on payment and reimbursement issues, managed care regulations, Medicare Part D, Medicaid, federal and state insurance law, fraud and abuse issues, licensing requirements, and privacy and security laws. Brooke often interfaces with the federal and state agencies charged with enforcing these healthcare laws on behalf of clients who are faced with governmental inquiries, audits or enforcement actions and advises clients on developing compliance plans. Brooke also provides guidance to for-profit and not-for-profit healthcare companies on corporate and contracting issues. She prepares and negotiates healthcare contracts with commercial and governmental entities and often assists clients with improving their contracting process. Brooke has successfully managed strategic healthcare transactions from initial evaluation and structuring to post-close integration. Assisted two healthcare systems in acquiring physician-owned clinics and restructuring to meet provider-based requirements. Assisted pharmacy benefit manager with creating its Medicaid Managed Care compliance program. Handled legal review of commercial contracts for pharmacy benefit manager. Worked on-site for pharmacy benefit manager and assisted with compliance matters, commercial contracting and policy drafting. Worked on-site at medical center and assisted general counsel with compliance matters and policy drafting. Brooke enjoys spending time with her family, trying new restaurants, watching documentaries and traveling. Her favorite trip so far was visiting Santorini: amazing views, wonderful food and great wine! 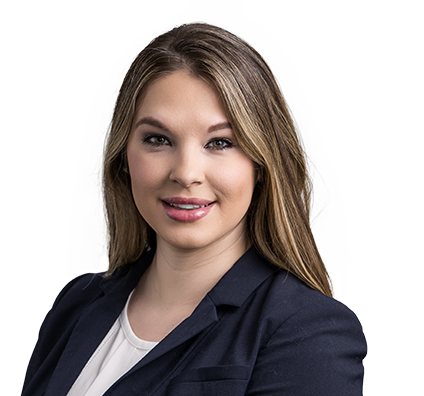 Brooke spends a large portion of her practice serving as interim in-house counsel for healthcare clients challenged by specialized projects and high volume. As outside counsel who has been embedded with multiple healthcare organizations, she has developed a unique and invaluable perspective and is able to work seamlessly with in-house counsel and business teams to efficiently develop industry-focused solutions to legal problems.